Music lovers attending the Smukfest festival in Skanderborg, Denmark, will be able to pay for goods using an NFC wristband — and three hundred traders will be able to accept contactless payments using Panasonic’s NFC-enabled Toughpad tablets. The 50,000 festival goers will be able to load credit onto their wristband at one of the festival’s cashless stations or via an accompanying smartphone app. 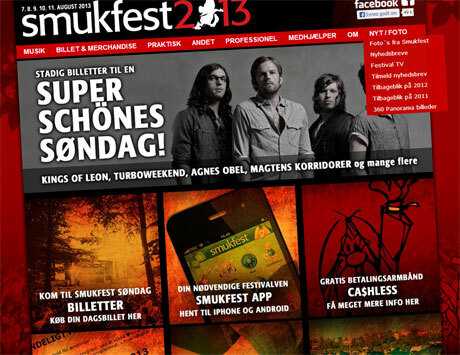 “The system has already delivered good results at the Roskilde Festival and Skive Festival, where they only experienced a few minor problems that were quickly resolved,” says Smukfest’s Per Langpap. Those wanting to use the app to top up their balance must sign up for a BigeWallet e-wallet from payments system operator BigeFinancials before linking it to their wristband at the festival site. These users will also then be able to transfer their remaining balance back to their bank account after the festival finishes. Festival bosses say payments from NFC phones will not be accepted but did not rule out the option for future events.